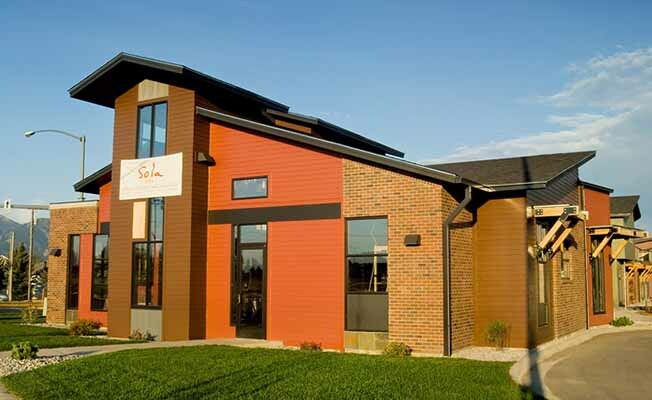 A community gathering place with delicious food and coffee, Sola Café, on Bozeman's south side, serves fine espresso drinks, house baked goods, salads, soups, panini, and savory entree items. Sola Café offers full dinner service with locally inspired fare, wines and local microbrews. See our website menu page for more about our foods and how Sola operates throughout the day. As members of the Farm to Restaurant Campaign, Sola Café is dedicated to using as many local and organic ingredients as feasible. We believe that we vote with our wallets and that by supporting local growth and production, we are tightening the circle of resources used to get food onto our tables. Sola Café will continually strive to operate in a sustainable, environmentally sound manner through purchasing, energy usage, and product offerings. We want our practices to reflect the changing needs of our times and are dedicated to sharing with our customers what we learn so that they too can make good choices.